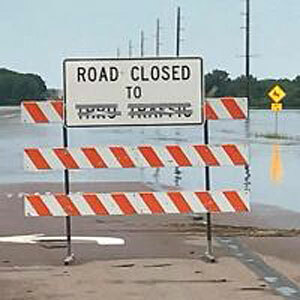 An Omaha woman is hospitalized after wrecking her vehicle while driving on a closed portion of a flood-damaged road in southwest Iowa. The Mills County Sheriff’s Office says 26-year-old Tabitha Lassek was driving a 2011 Chevy westbound on Highway 34 just before 1 a.m. Sunday. Authorities say Lassek failed to obey three “road closed” barricades and drove through them. The vehicle continued west before hitting several large chunks of concrete, which launched the vehicle 20 feet into the air. The vehicle came to rest on the shoulder. Lassek was taken to Mercy Hospital in Council Bluffs by Glenwood Rescue with undisclosed injuries.